Barbie is celebrating International Women's Day in the best way. The toy company is rolling out 15 new Barbie dolls to honor historical and modern role models, giving kids (and maybe a few adults) the chance to look up to the real women who are making a difference in the world, from both past and present. Now, children everywhere will be able to use their imagination to see themselves as real, inspiring women who are valued for their intellect and achievements rather than unattainable figures typically valued most for their looks. 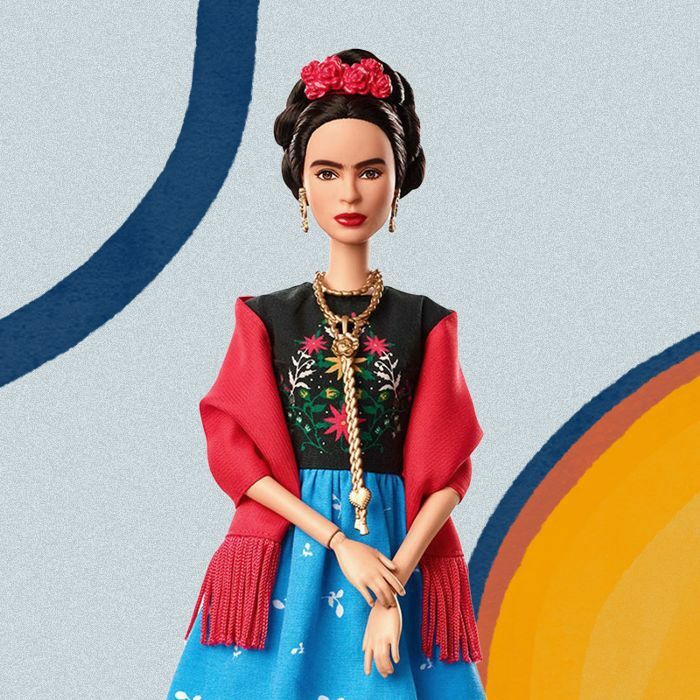 The new dolls are a part of two different collections: the brand's new Inspiring Women line, which features historical figures along with information about the contributions each woman made to society, and its existing Shero program. Artist Frida Kahlo, pilot Amelia Earhart, and mathematician Katherine Johnson will be the first three additions to the Inspiring Women series, while the Shero program will add 14 new modern-day role models to the collection, including wildlife conservationist Bindi Irwin, boxing champion Nicola Adams, and journalist Martyna Wojciechowska. "As a brand that inspires the limitless potential in girls, Barbie will be honoring its largest line up of role models timed to International Women's Day because we know that you can't be what you can't see,” Lisa McKnight, senior vice president and general manager of Barbie, said in a press release. "Girls have always been able to play out different roles and careers with Barbie, and we are thrilled to shine a light on real-life role models to remind them that they can be anything." The dolls will be mass-produced and sold in stores. The toy company does not have an exact date for when they will hit shelves but said each will come with educational information about the woman who inspired it. Take a look at the new Barbies below.